Tyson is finally feeling the grass beneath his paws for the first time in YEARS. 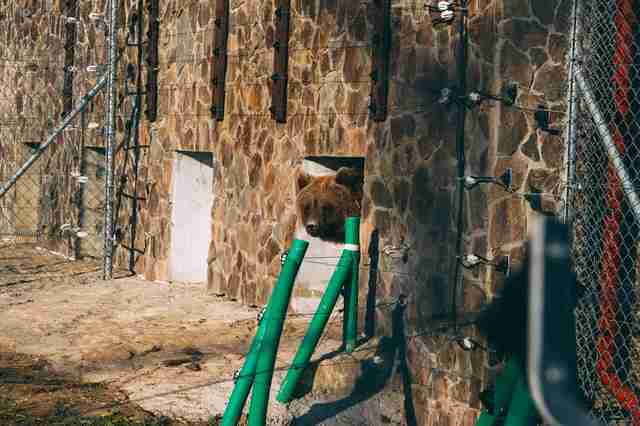 Just after people arrived at a dilapidated hunting facility in Ukraine, they spent hours arguing with a man there about the fate of a bear named Tyson. 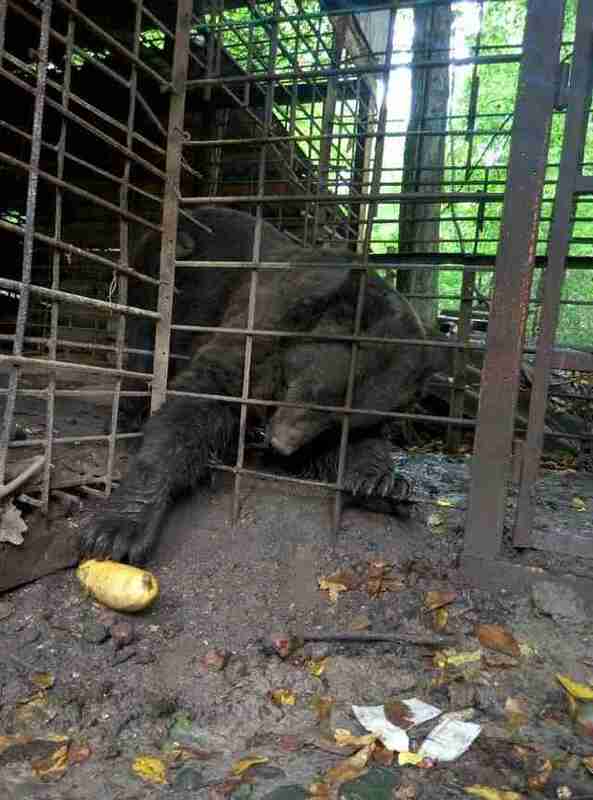 The people were from Four Paws International, and they have been traveling all over eastern Europe to try to save captive bears from miserable lives. Tyson was just a baby when he was captured by the hunters who killed his mom. Ever since then, he's grown up in a small, dirty cage. 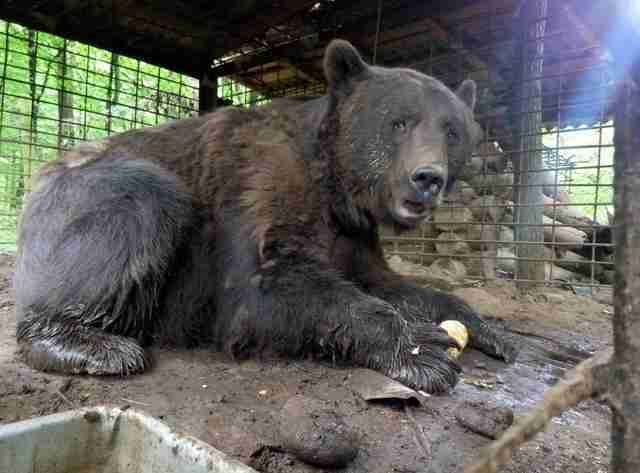 It's believed that Tyson was only allowed out of his cage for something terrible — a practice called "bear baiting," which still goes on even though it's illegal. 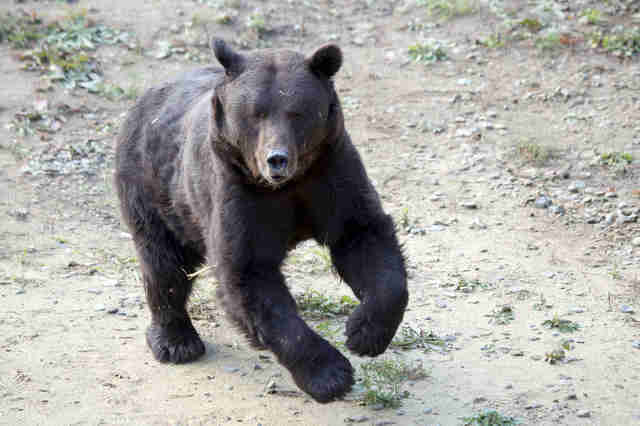 "Hunting dogs are trained to attack bears in a practice known as ‘bear baiting,’" Carsten Hertwig, bear expert at Four Paws, said in a release. Footage from Four Paws shows what this heartbreaking practice looks like: Bears are chained up and terrified while hunting dogs circle them. The bears are often weak and starved and sometimes have their claws painfully removed so they can't defend themselves, according to Four Paws. 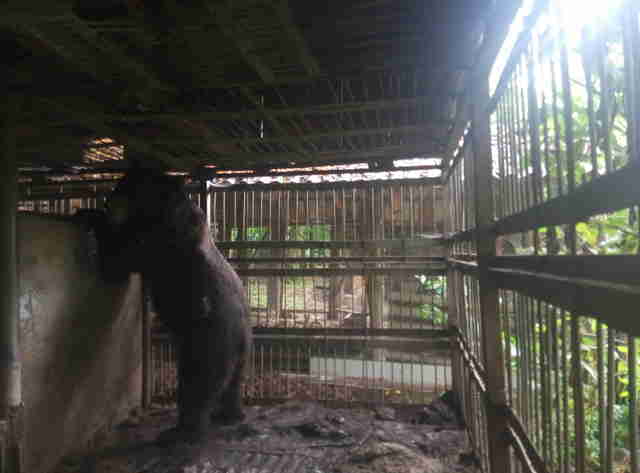 When the people from Four Paws saw Tyson, who is now 16 years old, sitting quietly in his cage, it seemed unthinkable that the sweet-natured bear ever had to endure such abuse. Luckily, hours of arguing finally convinced Tyson's owner to give him up. 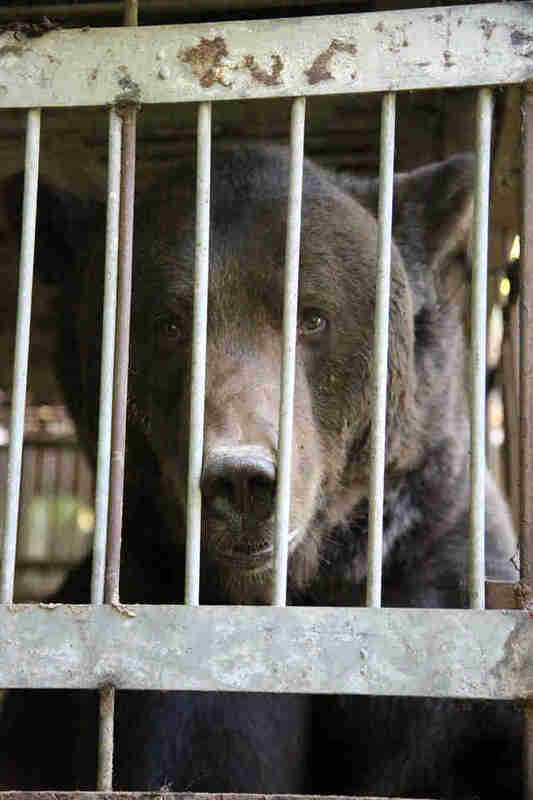 Four Paws quickly sedated Tyson and moved him out of his cage forever. 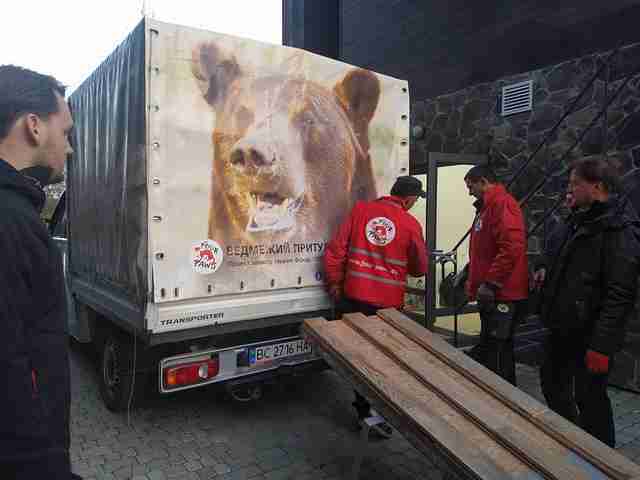 They loaded him into a truck and drove him for five hours to his new home, Ukraine's Bear Sanctuary Domazhyr, where several other rescued bears are already enjoying their new lives. Tyson seemed to have a hard time believing his luck when he arrived at the sanctuary, with spacious and grassy fields where he could run and play in the sun. For a while, the bear just stood there, sniffing the air. He then started sniffing around the plants and fruits surrounding him. Perhaps he could faintly remember encountering such smells when he was a baby. In any case, one thing's for certain: Tyson started looking like a totally different bear. Once Tyson arrived at the sanctuary, his health was a priority. 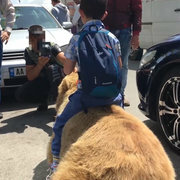 And luckily, the bear seems to have a lot of strength in him, which means he could have years of happiness ahead of him. “I am surprised and relieved that after 16 years of extremely bad keeping conditions Tyson is not suffering from any very serious medical conditions," Frank Göritz, a veterinarian, said. 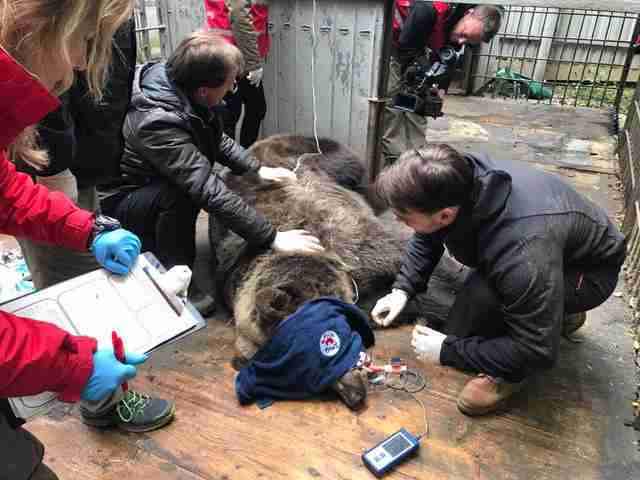 "The most severe are his dental abrasion and weak muscles. He will recover well." No longer languishing in a tiny, dark cage, Tyson started to stretch, run and play at the sanctuary. 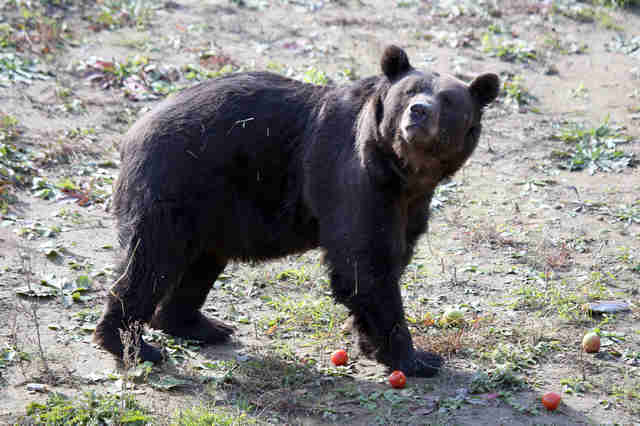 An estimated 20 bears are still suffering at hunting stations like the one from which Tyson was saved. 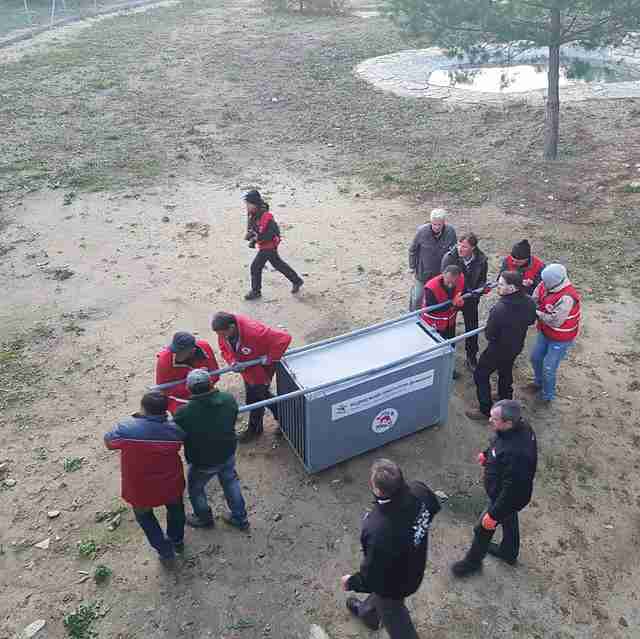 And rescuers aren't giving up on them. 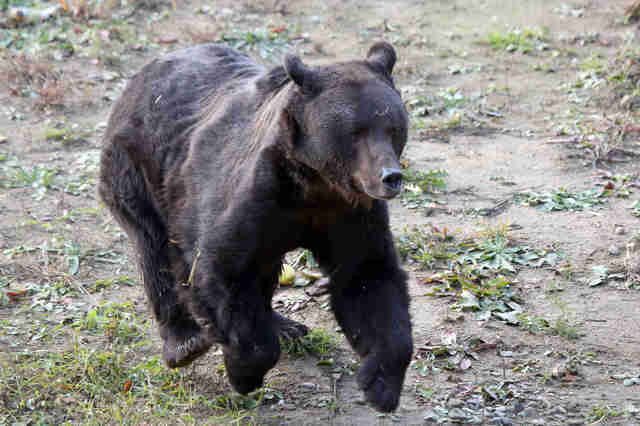 "Four Paws is calling for a complete ban on keeping bears at hunting stations, restaurants, hotels," the organization wrote. 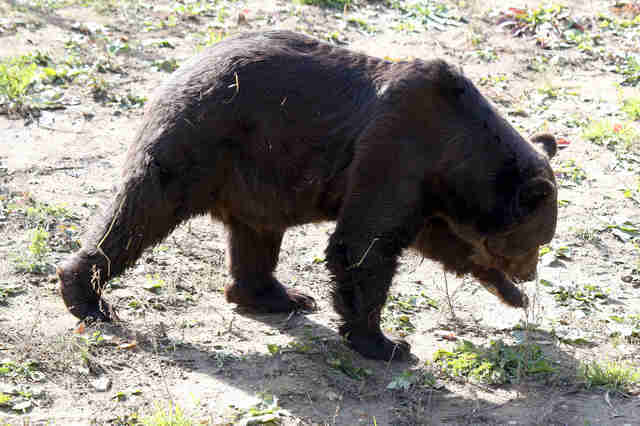 To help other bears like Tyson lead the lives they so deserve, you can donate to Four Paws.